1" x 42" S/C Sanding Belt 240 Grit, 10 pk. 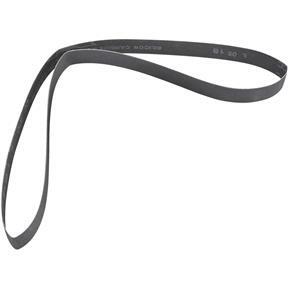 Grizzly T23986 - 1" x 42" S/C Sanding Belt 240 Grit, 10 pk. This combination belt /disc sander seems well made, and assembled without problems, a good sign of decent workmanship. It seems to function well, and importantly, retains the adjustments without constant tweaking, a too-common problem with the 42 x 1 belt sanders. So far, so good. Works like a sanding belt should. No complaints. Fits the machine proper, tracks well, and sands wood and metal quite nicely.